However big or small, new or not quite so new, our Trained Technicians and friendly staff are here to maintain, service, repair, insure and even accessorise your Toyota to make it the best it can be. We only ever use genuine parts and we’ll always, always give you a competitive price whenever we can. Our technicians have undertaken extensive training in our Academy. They will service your vehicle to the highest standards in full compliance with the terms of your vehicle's warranty. We only ever fit genuine Toyota parts, which have been designed and tested to our exacting standards. We are happy to arrange a Courtesy Car* or a Collection & Delivery* service to ensure your experience is as convenient as possible. At Toyota, we offer Service Price Match on any like-for-like quotation from another service outlet within a 10 mile radius (where they're using genuine Toyota parts). Simply bring the written or e-mailed quote to us and we'll match their price**. We can't say fairer than that. 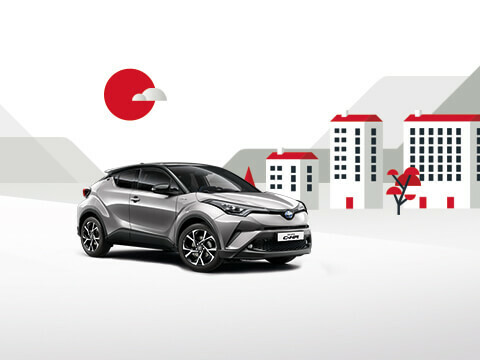 Toyota Centres will match any like-for-like service for exactly comparable work, from an official VAT registered vehicle service and repair outlet ('the Outlet') using Toyota genuine parts. The Outlet must be within a 10 mile radius of the participating Toyota Centre. This offer does not include competing quotes which are provided as part of an offer or campaign from the Outlet. Competing quotes must be for the same items of servicing stipulated by the quote from your Toyota Centre. Any oils included or used for the purpose of a service for which a competing quote is provided must be of the same quality and grade as the oils used by the Toyota Centre. This offer excludes modifications or repairs to bodywork or mechanical repair and is limited only to servicing as per the official service schedule for your vehicle. The competing quote must be provided to your Toyota Centre on the Outlets headed paper or from their official email address within 30 days of the quotation date and before any work is undertaken. Toyota (GB) PLC and its participating Service Centre's reserve the right at their discretion to accept or reject any competing quote if in their opinion such quote has not been provided from an Outlet or the Outlet's quote has been obtained through a relative, friend or anyone else associated with the customer. This offer cannot be used in conjunction with any other Toyota offer. Toyota reserves the right to amend, modify, extend or withdraw this offer at its discretion. This offer is available to retail customers only and cannot be used for business purposes. Service Price Match offer is available at participating Toyota Service Centres only. The initial service of the vehicle, to ensure smooth running of your Toyota. A comprehensive service designed to maximise the performance and longevity of your vehicle. Our most comprehensive service, with additional replacement of longer service interval items. Hybrid Battery Extended Cover only applies to vehicles up to 10 years old and with no mileage limit (except vehicle used as taxi's or private hire which are covered until they are 5 years old and/or a maximum 100,000 miles. Hybrid Battery Extended Cover will extend Hybrid Battery cover by 1 year of 10,000 miles as long as it takes place before the cars tenth anniversary of first registration. For further information regarding Hybrid warranty visit toyota.co.uk/5yearwarranty. Your Centre will recommend the correct service for your vehicle based on the age, mileage and service history. All prices include parts, oil, labour and VAT (20%). Toyota Service Pricing is applicable to Toyota vehicles only and cannot be used in conjunction with any other offer. Toyota Essential Care Servicing only applies to UK specification models that are over 5 years old and where the original manufacturer's warranty has expired. Additional items may be required on some services. Only at participating Authorised Toyota Service Centre. Prices correct as at 3rd May 2017 and are the maximum retail price. Authorised Toyota Service Centres are free to offer prices lower than above. Toyota Service Pricing covers the three main services that are required on every Toyota during the course of its life. Each service price includes the required labour, parts and VAT for that given service. And with transparency in mind you will pay exactly the same price at any participating Toyota Dealer, providing absolute certainty of a competitive price, but without the hassle of having to shop around. Getting the right service at the right price is sometimes not as easy as you would like. That’s why we’ve made servicing your Toyota as simple and straightforward as possible. Toyota’s own Hybrid Electric Service costs the same as a conventional service for the same model but includes hybrid specialist checks carried out by a trained Toyota Hybrid Electric Specialist. The initial service of the vehicle, to ensure smooth running of your Toyota. A comprehensive service designed to maximise the performance and longevity of your vehicle. The new Toyota 5+ Club gives you an incredible 20% off Servicing and MOTs! If you own a Toyota which is 5 years or older, you qualify for the Toyota 5+ Club. It's free to join and gives you 20% off Servicing and MOTs. Sign up by following the link below. Take a look at the prices below for your particular Toyota model to see how little our repairs will cost you. Prices are all inclusive so there are no hidden extras. All Toyota parts come with a minimum of a 1-year guarantee. Prices correct as of 1st February 2019. All prices are fully fitted; including parts, labour and VAT (20%). Additional items may be required on some repairs. Please note these prices cannot be used in conjunction with any other offer or discount Prices correct as of 1st February 2019. *Denotes Price from dependant on Model. You may require some additional services/parts dependent on age and mileage of vehicle your Toyota may require these options. At Toyota, our Hybrid Electric Service costs no more than a non-hybrid service. 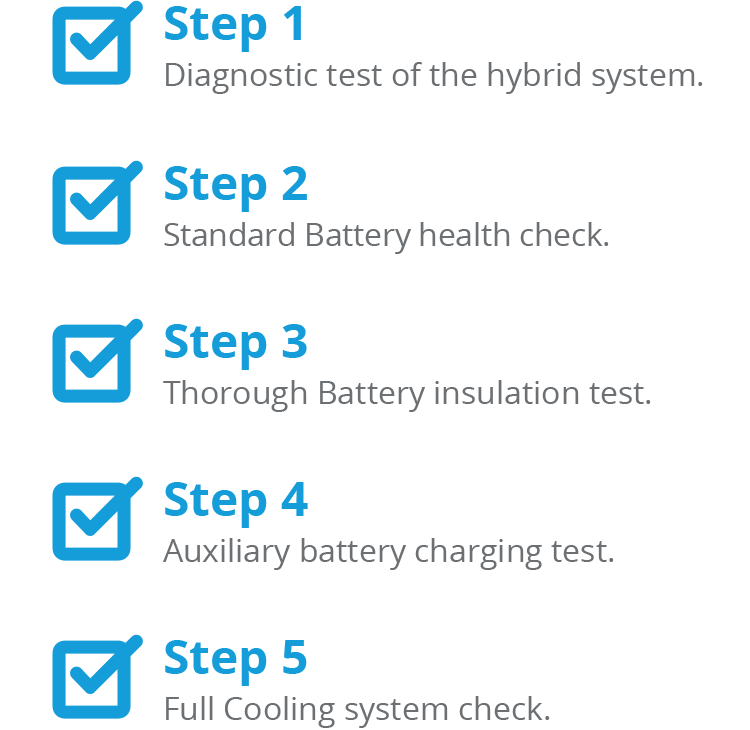 Our experts carry out all the hybrid specific checks your car needs to make sure everything is working efficiently and effectively. Nobody knows your Toyota better than our Hybrid Electric Specialists. Come and talk to us to find out more or request a hybrid service today.